← Completed But Empty: Will Budget 2014 Help Fill Out Vacant Properties? 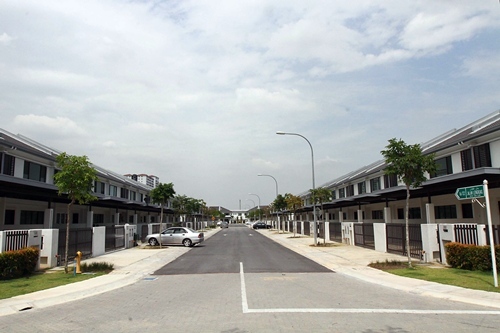 HOUSEHOLD loan growth is expected to slow down next year amid measures set out in the Budget 2014 aimed at curbing excessive property speculation and rising household debt, according to analysts. RAM Ratings co-head of financial institution ratings Wong Yin Ching told StarBiz the increase in real property gains tax (RPGT) and the removal of the developer interest bearing scheme (DIBS) could impact new housing loan approvals and witness a slowdown next year given these cooling measures. “Home loan growth for the first eight months of 2013 already stood at 8.4% (full year 2012: 12.9%) and is expected to end the year at around 12%-13% due to drawdowns from previously approved loans. “While financing for housing loans in 2014 is likely to moderate as the full effects of these cooling measures kick in, we think that home loan growth would still be in the high single-digit range. This is supported by fundamental demand for properties from the country’s young demographics and increasing household formation,” she said. The increase in the RPGT and the prohibition of DIBS, Wong said, were in line with a series of initiatives taken by the Government to manage the level of household debt and to address excessive property speculation. With the potential moderation in household loans, a banking analyst said he expected the banking system loan growth to slow down further from 10.5% in 2013 to about 9% in 2014. On a positive note, the analyst said he was optimistic that some large-scale Economic Transformation Programme projects including MRT, Langat 2 water treatment plant, West Coast Expressway and double-tracking projects would continue to be implemented and would support business loan growth. Meanwhile, Malaysian Rating Corp Bhd chief economist Nor Zahidi Alias felt that what would really temper the loan growth would be a hike in the stamp duties which the Government did not propose this time around. He does not expect a big impact on loan growth with the removal of DIBS as it involves only new property development. DIBS may reduce speculative activities slightly but the increase in the RPGT may discourage property transactions more than the measure on DIBS, he noted.